My dear friend also has ADORABLE kiddos!! MAJOR help the last time I was working in their area. Thanks for the Challenge SWEETNESS!!!! O. M. G. We are BOTH sitting here right now-Madelynn says to tell you she is SPEECHLESS-came right out of her mouth! (I guess she's not COMPLETELY speechless then, LOL!) I am sitting here with tears in my eyes this is JUST such a sweet card and even sweeter shout out. HOW amazing are yOU?!?!? Thankyou SO much-this is incredible. 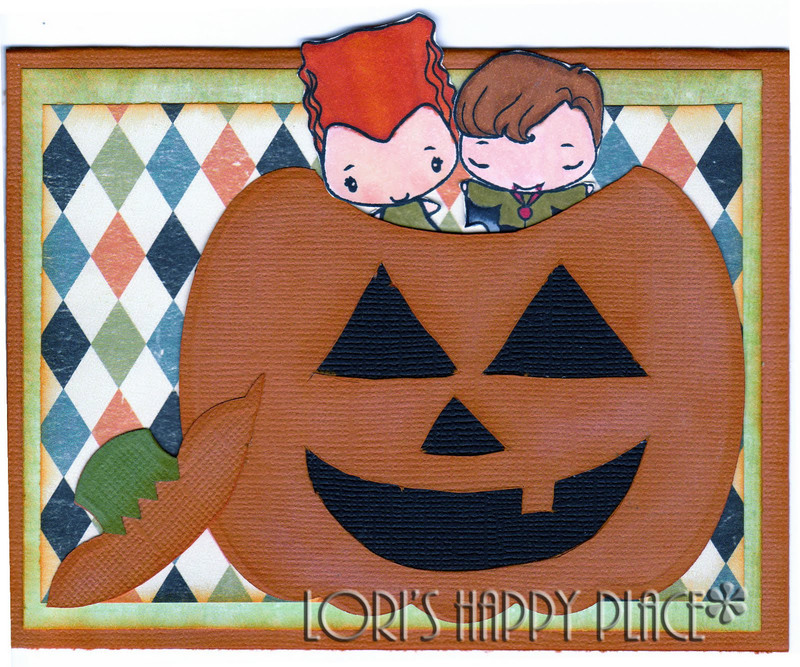 Your card is ADORABLE-the pumpkin is genius and the coloring is awesome. I am SOOO putting this on the Club Anya blog if it's ok with you!!! I uploaded it to my member gallery (Wife2Grumpy), but put it wherever you want. I am glad she liked it!!! HUGS to all.